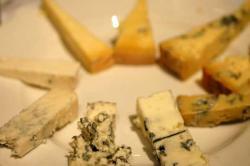 The plate at a Neal's Yard cheese tasting for Blue Cheese. 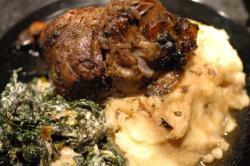 Lamb shanks are right up there with my favourite foods. 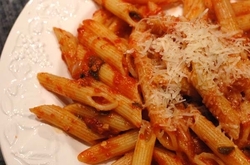 Here is the recipe I used -- amazing gravy! 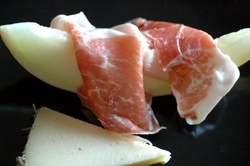 We got some gorgeous ham from a Spanish friend for Christmas, along with some manchego cheese crusted in rosemary. 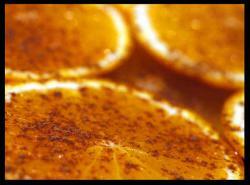 Next time you get some fresh, sweet oranges, sprinkle a bit of cinnamon over them. Amazing! 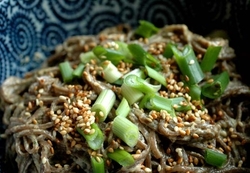 A really complex tasting sauce on this dish but very easy to make! 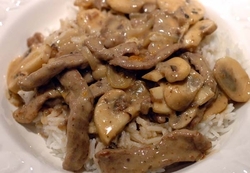 Beef Stroganoff -- one of Andrew's favourite meals, made from a recipe in a favourite family cookbook. 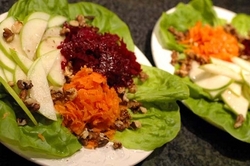 One of my 'wow' salad discoveries. Try it!